When we originally formulated our Social Media Guidelines for Mayo Clinic Employees in 2009, we were so conservative in our policy against endorsements, that employees were not allowed to give or request LinkedIn recommendations. Since then, social networking usage evolved and personal endorsements on LinkedIn have become much more of (in the current vernacular) “a thing.” So we went to our Medical Industry Relations Committee with recommendations for change, which was approved in June 2014. 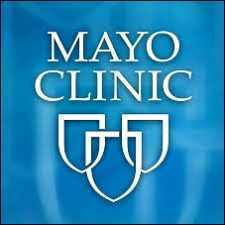 Mayo Clinic does not endorse people, products, services and organizations. Official Mayo Clinic accounts should not be used to provide such endorsements. For personal social media accounts where your connection to Mayo Clinic is apparent, you should be careful to avoid implying that an endorsement of a person or product is on behalf of Mayo Clinic, rather than a personal endorsement. As an example, LinkedIn users may endorse individuals or companies, but may not use Mayo Clinic's name in connection with the endorsement, state or imply that the endorsement is on behalf of Mayo Clinic, or state specifically that the endorsement is based on work done at Mayo Clinic. We reinterpreted the endorsement policy in keeping with guideline two about clarifying that we speak for ourselves, not Mayo Clinic. Guideline number nine applies this same principle: it’s fine to give an endorsement or a good review, but don’t borrow Mayo Clinic’s credibility to increase its impact. For official Mayo Clinic online social accounts, such as those maintained by specialty groups, the prohibition against endorsements remains. But as individuals, Mayo employees may freely vouch for the quality and integrity of their auto mechanic, favorite airline, or a professional colleague – without invoking Mayo Clinic.